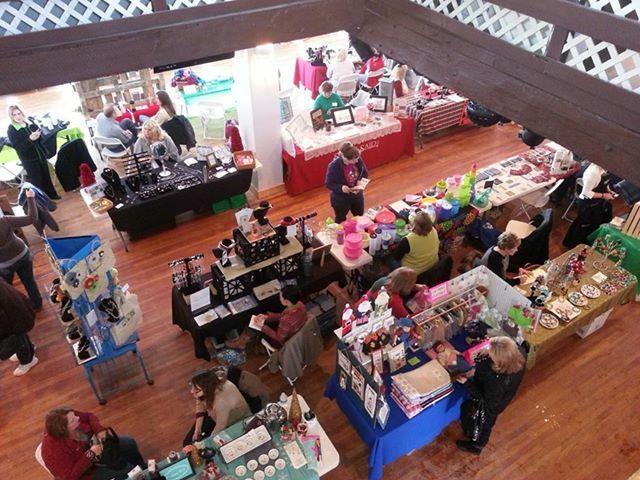 Come and join us for Skyview Lodge’s Annual Christmas Craft Show. Open to the public from 11am to 4 pm. We are having door prizes, baked goods, and a country kitchen. We encourage guests and vendors to bring a canned good or paper product to help area needy. Items are donated to local area food kitchens. The Lodge is a rustic country setting with a 70ft balcony and a terrific view of the west. We hold approximately 40 tables and it is a warm and inviting atmosphere. We advertise in local newspapers. Flyers and advertising signs have been located throughout the community. With your help, we look forward to having a great show. We encourage our participants to help post flyers throughout the community. Help get the word out. We encourage participants to use social media. Share, and invite friends, family and co-workers. Visit us on FACEBOOK! With your participation we look forward to a successful event. Vendor Table Reservations can also be made via Eventbrite. Click on the following link………………. If you would like to help distribute flyers, please stop up and pick up some. With your help, we look forward to having a great show. Because we have been such a success in the past, our tables sell out quickly. Our phone number is 330-225-8345. If you are interested in securing a table for this 1-day show hurry and reserve your table as soon as possible. The cost of the rental of vendor tables is $25. If you want to make your table reservation by mail please submit payment via check, when your payment is received our office will call and confirm your reservation. Please call or email us to request a contract. Complete the form and return it with a check made payable to Skyview Lodge for $25 for payment of your table. Our tables are 6-8 tables.